The email says something like hey look at this funny blog and after that a link is given. 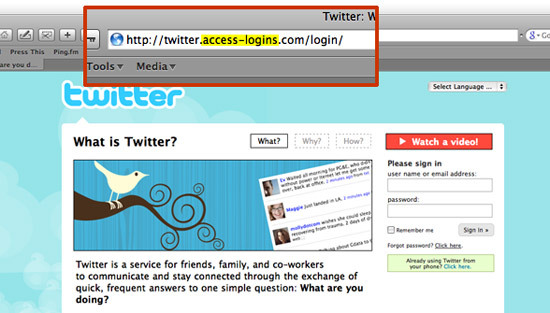 That link redirects you to a site masquerading which is similar to Twitter front page. I also got this direct message today but when I clicked that link, my Firefox identified it against my security settings. Otherwise I could have lost my password. If you have clicked at that website and you are not able to login to your account now, then you can reset your password using reset password link to gain access to your account.